I created this resources page to help you with deciding what tools, services, and sites to go to and use. I personally know how stressful and frustrating it is to make a choice on what products and services to use or buy. With all the tools and services available now a days, it's real easy to get overwhelmed. Hopefully this page will ease your mind a bit. I'll be adding more to it as I learn and test out new things. In future episodes and posts I will reference this page quite often, so I recommend bookmarking it for your own personal reference and convenience. Thanks! If you look at nothing else on this page, these are the three that you should know about. I find myself recommending these resources again and again, in emails and on podcasts. I use them because they make my life and business easier, and I’m confident you’ll agree too. 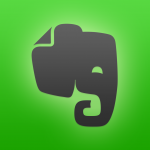 Evernote: My most recommended app that many of you are tired to hear me talk about on the podcast, but it's what I live by. You can create a project to-do list, jot down a reminder, record a voice note, or snap a picture of something inspiring. A note can be anything you want it to be. And once you make a note, it’s accessible wherever you go, forever. eClincher: Everyday I'm asked how I stay on top of social media the way I do. This is one of my secret ingredients. I'm everywhere, at all times, even while I sleep, eClincher has me actively engaged throughout my various social media channels. Just last month I used eClincher to generate over 200,000+ impressions on twitter for the month. Mind you, I'm hardly ever really on Twitter 90% of the time, but this tool keeps my posts going even while I'm really working or kicking it with my kids. 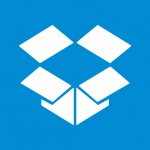 Dropbox: You absolutely have access to a bunch of cloud storage solutions out there, but nothing for me has been as seamless as Dropbox. I've been with them pretty much since their inception and I wouldn't have it any other way. SiteGround: I host my websites on SiteGround because they are amazing at providing superior customer service, are quick to reply to you when you are having site issues and they're almost never down. They also keep improving their infrastructure non-stop, so I feel safe and I'm just overall happy with their service offerings. Libsyn: Libsyn is your one stop solution for everything you need to start podcasting, get your podcast in iTunes and even turn your show into an App. I love their stats features, which allows me to see the countries where downloads are taking place and I can monitor downloads by day, week, and month and understand what devices our listeners are using to access our pod. StudioPress: I've used StudioPress for years and in my honest opinion, this is the best and easiest theme to work with. Very user friendly. They keep the “non techy” peeps like me in mind when they create their themes. MailChimp: So two things here: 1 It's easy to use 2 Until you have an actual following, it's free! Act-On Marketing Automation: If you're familiar with marketing automation and have the budget for a little more, I'd recommend checking them out. Google Analytics: Google's free website tracking and analytical tool. A must have for anyone with any type of website. Google Adwords Tool: A free keyword research tool. This is good to see the popularity of certain keywords and to spy on the competition if you're doing adwords stuff. Upwork: One of my favorite places to outsource. You can pay by the hour or a fixed rate. A big advantage with Upwork is that you can monitor their work. Youtube: Free video streaming service. This is good for any videos that's free for the public to view. (For any private videos, I suggest getting s3 amazon and use EVP for easy access and streaming. Libsyn: This is where I host all of my podcast audios and small size files like PDF's and zip files. Perfect for podcasters, and great for small size files. Paypal: This one is just ok for selling your own little products. I wouldn't go to big with these guys. I'd recommend using any of the above carts for big ticket items.